As business owners, we're all looking for that magic solution - the trick that enables us to grow our business and gain new customers without having to pay for advertising. As a free online platform, Facebook offers a valuable opportunity to grow your business without having to shell out hundreds of dollars in advertising costs. While paying to run page ads and boost individual posts can be a great strategy for increasing your reach very quickly, it's possible to grow your Facebook presence without having to pay a dime. Our social media marketing company is here to share some different strategies for growing your Facebook presence organically. It's called "social" media for a reason. The only way to gain new likes and get your posts in front of more people without having to pay for the increased visibility is to inspire your friends and existing followers to interact with - and share - your content. Sounds simple enough, right? The premise is very simple in theory, but it may require a little practice (as well as some inevitable trial and error) before you can master it. Familiarizing yourself with these strategies now may help you pick things up more quickly. 1. Show Your Personal Side. Most people will be more interested in getting to know the people in your company than listening to your impressive sales pitch. Post behind-the-scenes pics of your staff at work, office shenanigans, team members volunteering, and other personal elements. 3. Use Facebook's Organic Targeting Option. 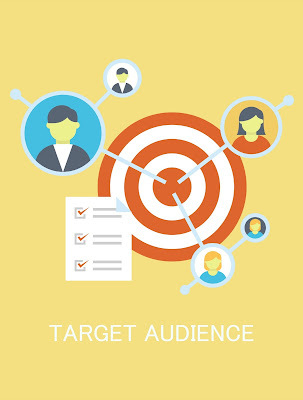 Targeting goes hand-in-hand with paying to boost posts, but did you know that Facebook also offers an organic targeting option? This can be a great way to send specific messages to the fans who are most likely to appreciate (and interact with) the content. The post will still be visible to everyone who visits your page directly, but the organic targeting option will impact who sees the post in their feeds. 4. Respond To Your Fans' Preferences. Don't assume that you know what your fans want. There is a lot of information about social media marketing out there, each touting different strategies for achieving optimal engagement. Some sources consider links to be the "Holy Grail" of engagement, whereas other sources claim that stand-alone graphics are the most powerful tools. Your best bet is to try mixing up your content until you see what type of post generates the most interaction. Once you learn your fans' preferences, you can start to post more of that type of content. 5. Experiment With Different Times Of Day. Just as there are lot of different sources claiming they know the best type of content to publish, there are a lot of experts claiming that they know the best times of day to publish new content to Facebook. Many people suggest publishing during the peak times of day when your followers are most active (mid-late afternoon). Some people suggest the opposite, saying that by publishing during the least active time of day (around 10:00 PM or later) will give you better results because you'll have less content to compete against. We suggest that you try publishing at different times throughout the day until you learn what time(s) give you the best results. 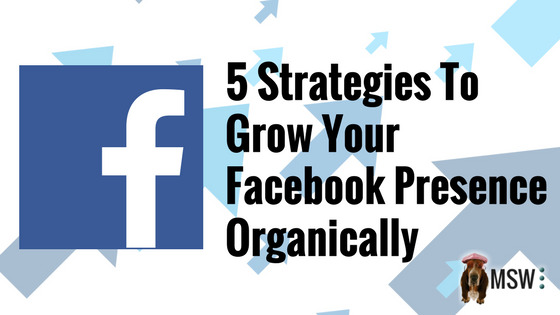 Growing a successful Facebook presence may seem a little overwhelming at first, but it gets easier with practice. Of course, you don't have to go it alone - the team at MSW Interactive Designs would be happy to offer our assistance if you'd like help. To learn about our professional social media marketing services, check us out at www.MSWInteractiveDesigns.com.